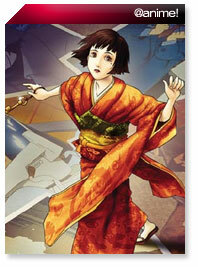 Misaki Suzuhara just arrived in Tokyo to live with her Aunt. There she gets thrust into a new life full of surprises. Join Misaki and her Angel, Hikaru, as she discovers a new world of uncertanty with a new school, new friends, and the amazing Angelic Layer! It's time for everyone to get your cute on! The U.S. anime industry is finally delving big time into a segment of the anime world that's been largely forgotten... and it's growing. It's shoujo time! We have an interesting set for you this month. First we'll take a look at the life and times of a Japanese cinema star in the first offering from Dreamworks' Go Fish Pictures, Millennium Actress. Next, we'll take a trip into the dark, forboding world of Clamp's X. Then, get your Retro Mecha on with one of the latest hits on Cartoon Network, Android Kikaider. Wondering when the latest DVD releases are coming to a store shelf near you? Here's where you can find it! Check out what's coming out on the anime waves in the months to come. It's something new for @a! Looking for something new to watch? Got a night with nothing planned and need to find a fast solution? Just want to keep from getting bored to death? We have the place for a quick help. It's the new @a! QuickPicks! Get a quick review of some of the staff's favs. This month, take a quick look at Infinite Ryvius from Bandai and Strawberry Eggs from Geneon/Pioneer. Most people into anime and manga have had the opportunity to attend one of the countless anime conventions around the world. If you have, you know how they run. If not, you don't know what you're missing. But have you ever wondered what level of insanity is needed to plan and run an anime convention? James takes us into the inside world of cons... Because he said so. The aliens had landed and the world was never the same. It was the big hit from the mind of Rumiko Takahashi... before Ranma. Before InuYasha. It's all those obnoxious aliens as we take a retro look at Lum and Friends in Urusei Yatsura. SEGA concoles may have gone the way of the dodo, but the games that made them the place to play still live on. This month we take a look at the latest series to jump from being a SEGA exclusive to a multi-version masterpiece. 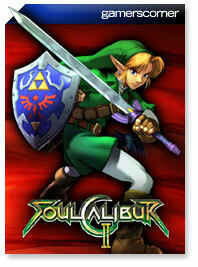 It's hig-powered fighting like nothing else in Soul Calibur II for the Nintendo GameCube... Just watch out for Link's sword. And as the year is nearing its end, we have yet another look at one of the many anime cons.. and this one is anything BUT Gone with the Wind. 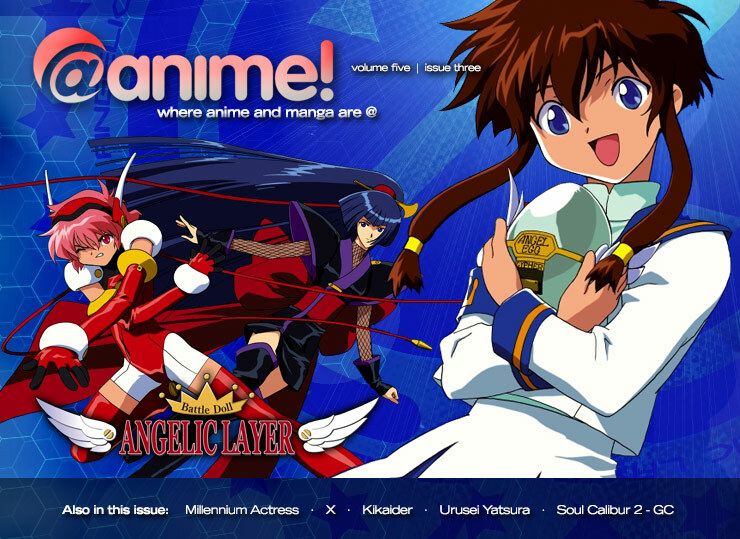 Take a personal trip with Jonathan C. as he shares Anime Weekend Atlanta 9 with one and all!